Walrus lies on flat base. Incised eye and nostril holes filled with black pigment. Condition good. 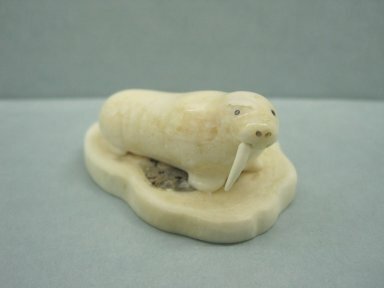 Polished ivory; one missing tusk.